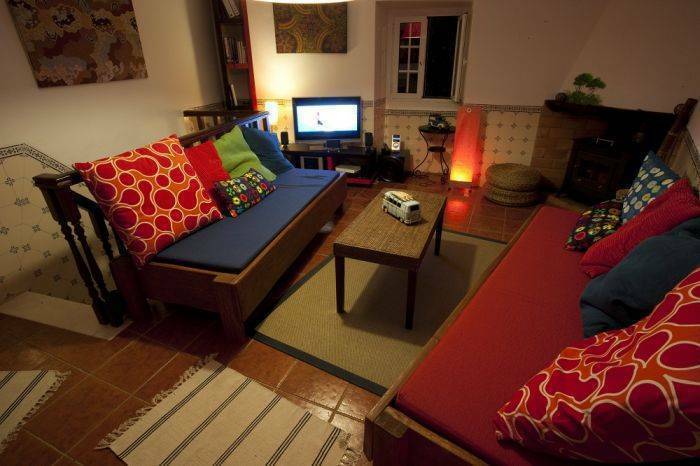 The Ribeira Valley Surf Camp it's a rustic house built in 1811 and reconstructed in 2008. 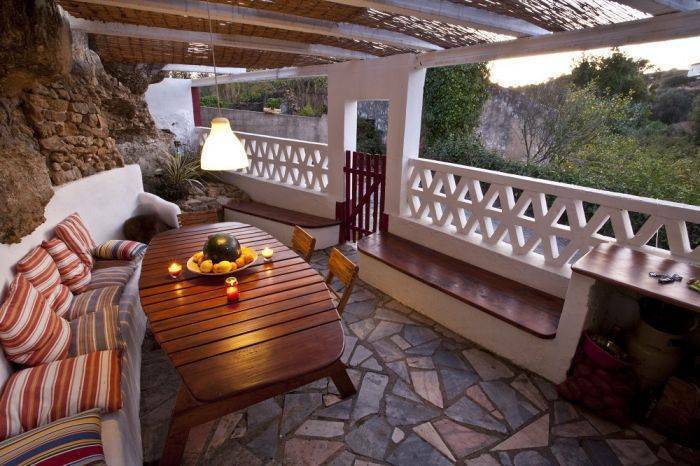 Inside of a lovely farm this accommodation offers you the perfect combination between the country and the sea. The house have 3 rooms, with the full capacity of 9 people. One shared bathroom and one full equipped kitchen for our clients. We also provide to our clients surf lessons, breakfast & Dinner and airport transfers. 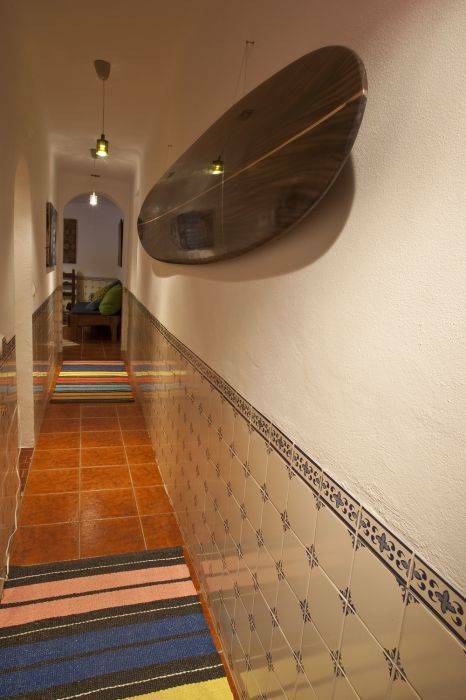 Ribeira Valley Surf Club is located near Ribeira d'Ilhas Beach, between Ericeira and Ribamar. Nestling on the Atlantic coast you are on about 55 km of Peniche and 60 km of Lisbon Airport, with hourly bus services to Ericeira, a traditional fishing village and Portugal's surfing Mecca, internationally renowned as one of the best surfing spots in Europe. Since 1985 it has played host to the ASP (WQS) world championship. The beach break offers perfect waves for all levels, and it's only a short distance from several of Portugal's best surfing breaks, such as Coxos and Pedra Branca. Our Camp it's located in the beautiful village of Ericeira. Ericeira itself is a charming little town with whitewashed houses, accented with painted frames, lining narrow streets. Ericeira is also ideally located halfway between Peniche to the north and Lisbon to the south, both less than an one hour drive. A visit to the Portuguese capital is a must. Other prime sightseeing in the area include the Mafra Palace and Sintra. Modelled after the famous El Escorial in Madrid, Mafra Palace is an architectural work of extraordinary grandeur and majesty built in the 18th Century by King Joao V. Portugal's largest building, the project was so big that a small town was built just to house the workers! The palace houses over 800 rooms looking out onto the gardens through some 4, 500 doorways and windows. Further south towards Lisbon, the resort town of Sintra shelters inland at the foot of the Serra da Sintra and was long favoured by the Portuguese Royalty and the English aristocracy as a summer destination. The small town is located in a thickly wooded setting, with lush gardens, old palaces and villas with a ramshackle glamour. This stylish and romantic architectural complex is listed as a UNESCO World Heritage Site. A visit to the medieval town Peniche, north of Ericeira, is also well worth your time, more so for being another reputed surf spot. 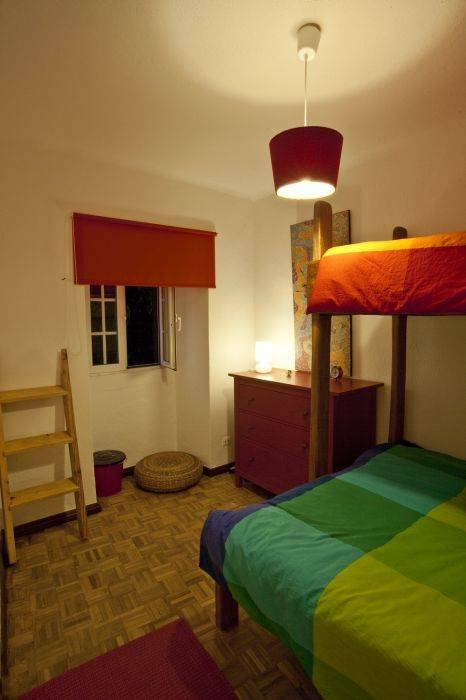 From today and on, we also provide to our clients a full accommodation in wooden bungalows. The Bungalows are situated in the rustic Village of Santo Isidoro. Each Bungalow have the capacity of 3 persons with a private bathroom for each one. In a third Bungalow you can find a full equipped kitchen for your own use. Take a look at the pictutes !!!! 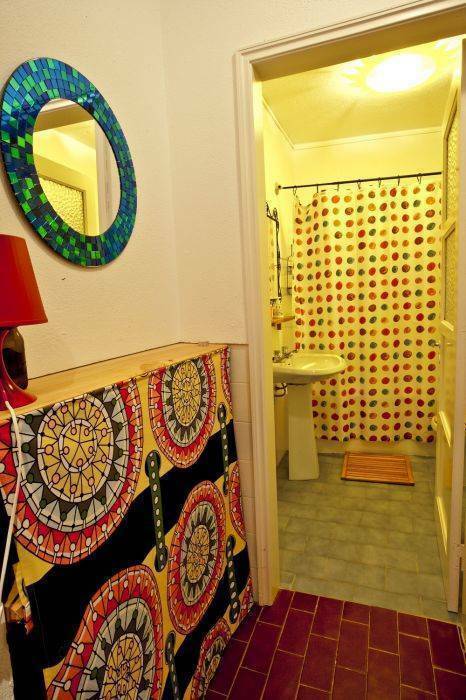 Triple Bedroom : Features 2 beds, one single bed and one double bed. This room can feet 3 persons with shared bathroom. If the client wants to stay with this room as private they need to confirm with us it is possible. 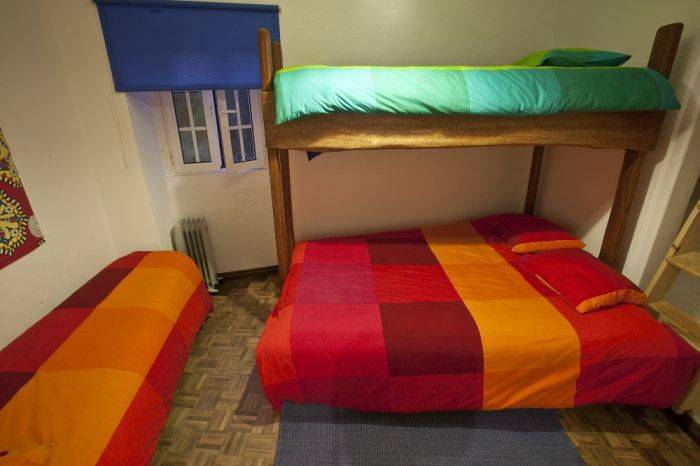 Quad Bedroom : Features 3 beds, 2 single beds and one Double Bed. A great room for a group of friends. The rest of the payment its made with Cash on Arrival.